I had to stop in today with a quick card! 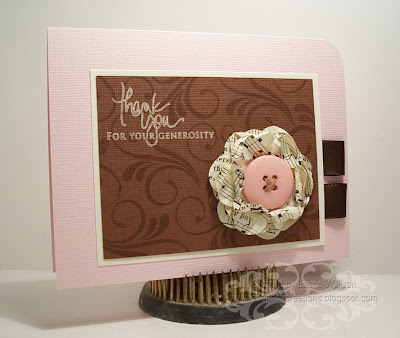 I am loving the Button sets from PTI! 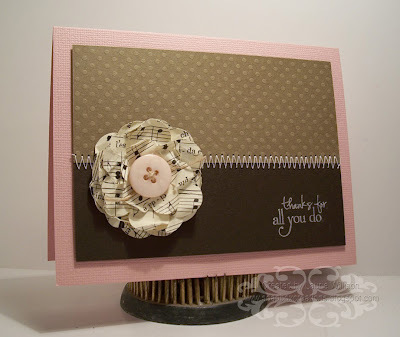 The buttons add so much to a card front! And these colors are so fun together! I posted one like the other day but in different colors! The flower comes from PTI's Blooming Buttons! I just love this set! It helps with my button addiction for sure! :) Instead of cutting around the flower, I added a little bit of a point on each petal. Then I used an orange tombow marker to add the color. I also colored with a green colored pencil on each leaf....although its hard to see in the picture...it looks pretty cool IRL! Hope you are having a great day! Thanks for stopping! 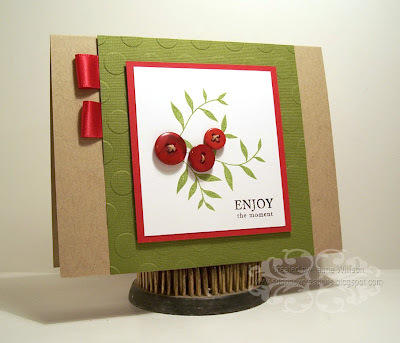 Here is a card I made at our "Stamping Away" weekend we had here at my house recently! We all made shoebox projects and this was mine! 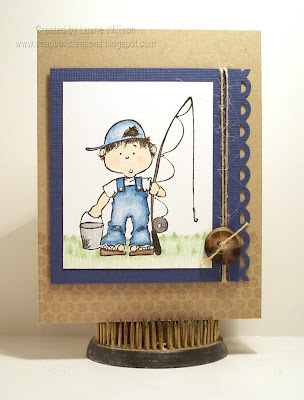 I just love this little boy from TAC's new Wonder and Joy set. He is so cute.....and so are all the other images in the set! I love this card! Kinda outta the box for me, but so much fun! I LOVE the Damask set from PTI. 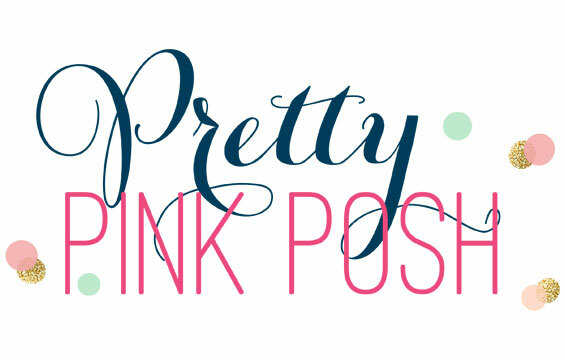 SO incredibly versatile! And that is what I love! I am grateful for so many things! God, my family, my friends. I think so often we don't tell those people we love how lucky we are to have them! When I saw this sentiment, I just knew I had to have this set just for that reason! I kinda like this one! 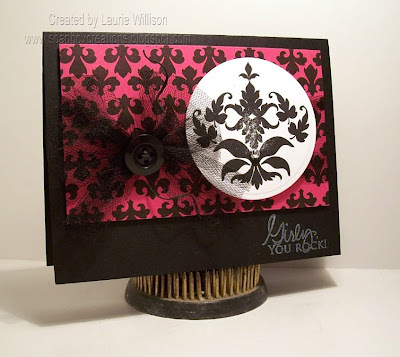 ;) That amazing border punch is a Fiskars Apron Lace punch that my friend Amy let me use at our Stampin' Away weekend! I wish she would come back so I could use it again! LOL! She is on a cruise right now so I am sure that is not first on her list!! :) Maybe I will buy one for myself! hehe! Luv ya Amy! This flower is from PTI's Blooming Button Bits. I took a stamp for Polka Dot Basics and used the "kissing" technique to add some detail! 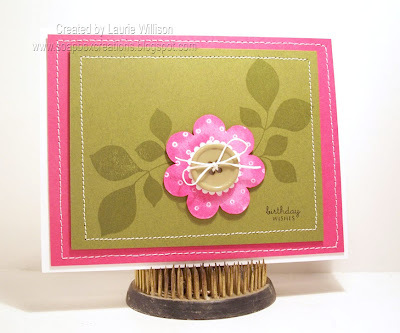 This one uses Green and Pink Bazzil just to change things up a little bit! That fantastic flower I received in the mail from my friend Kim! She knows I love polka dots and thought of me! Thank you so much for the little gift Kim! 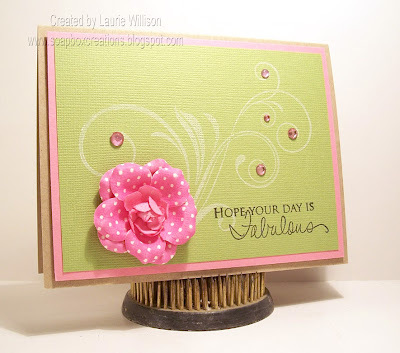 Recently, I made a flower that I found on one of my blog hops! Dawn McVey made the cutest flower out of the pages of an old children's book! So when I found this old music at an antique store, I had to try one out myself! I LOVE it! 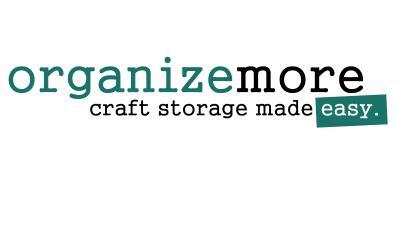 And I can't quit making them!! Aren't they so cute? She is such a creative gal! You can visit her blog here! Hope all is well! Thanks for looking! Wow! I am back! I am sorry I haven't posted in over a week but it was a nice little break from the blogging world! I have seriously simplified life on the computer and it has helped me this last week put so much into perspective! First off, I want to thank you all for the emails and well wishes I have received over the last week! You have seriously blown me away! Several emails from people I don't even know! Your words were beyond amazing and so appreciated! It is nice to know how many friends I have out there! With that being said, some of you might wonder "why all the emails"....well I decided to resign from The Angel Company. I have a huge love for all things "paper crafting" and with me being my best TAC customer :), it was just hard to stay active at this point! I had am amazing time with TAC and I am going to miss all my Angel friends! Although at this point and with all the emails, I know that so many of us will remain friends!! I thank you for that! 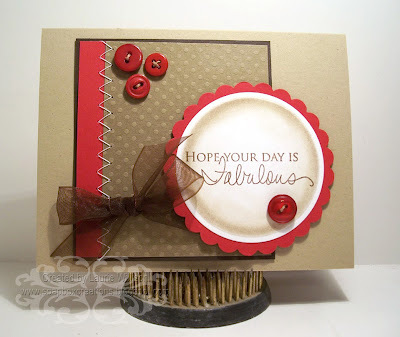 So, just wanted to jump in here with a card today! 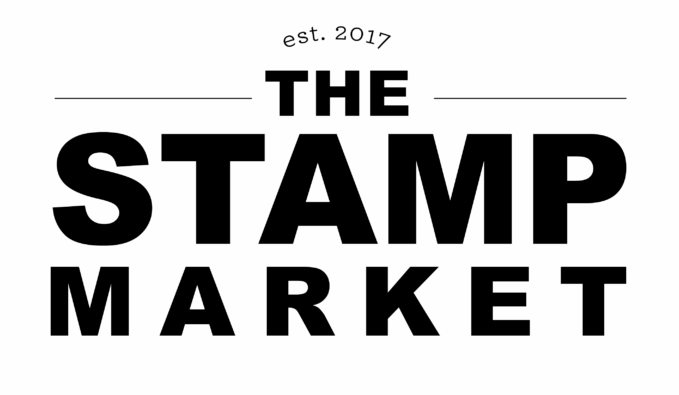 I have some fun new PTI stamps to share! 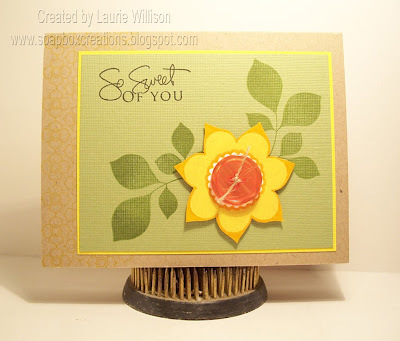 I absolutely love, love Signature Greetings! Thanks for stopping by today! Hope you have a great weekend! !